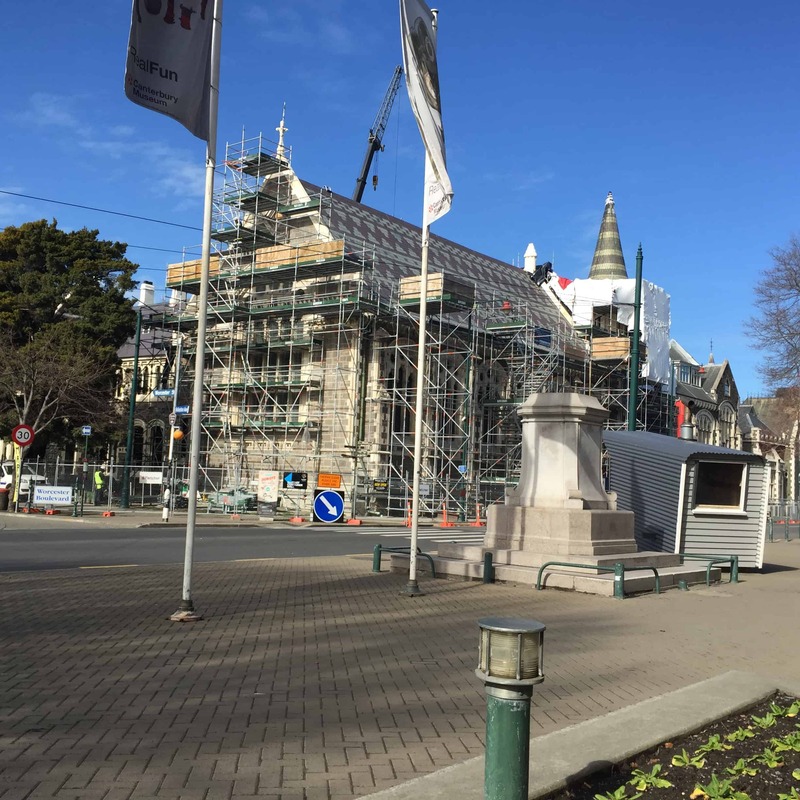 Christchurch is really stumping me and I’m finding it difficult to articulate my feelings about the place. What is it about a city that makes it magnificent, and then not? Well, that was all before 2011 when the place literally fell apart following a series of devastating earthquakes. First at 4.35am on 4 September 2010, with no deaths yet significant structural damage. Most people were home in bed so therefore safe. But that one was nothing compared to Tuesday 22 February 2011 at 12.51pm. Weekday lunchtime. That killed 185 people from 20 different nationalities, mostly because they were going about their daytime things, like working and doing their business. Everyday things. Just like we all do. Over half the deaths occurred in the one building alone, the Canterbury Television (CTV) building. People at work. The rubble from that building was removed and placed elsewhere. Some bodies have never been recovered from that rubble. 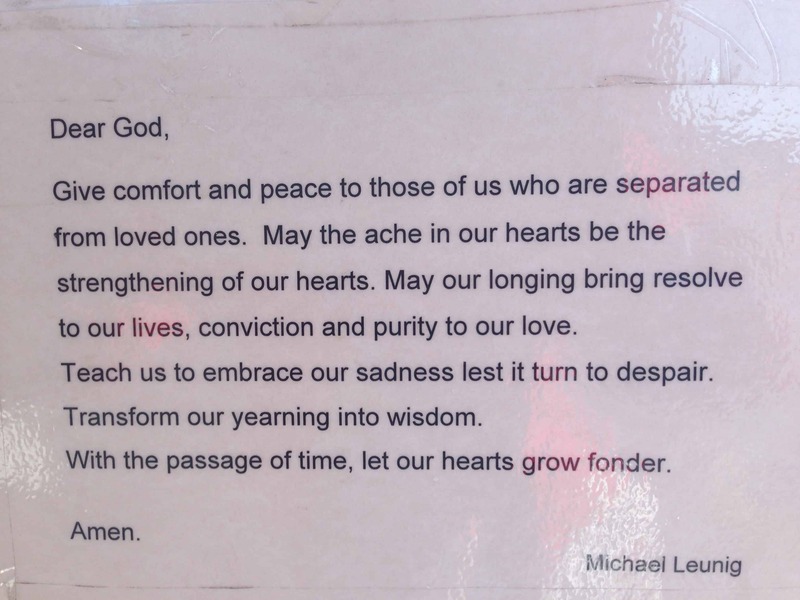 On a cleared vacant site where once stood the Baptist church (directly adjacent to the CTV building) a temporary memorial has been established. 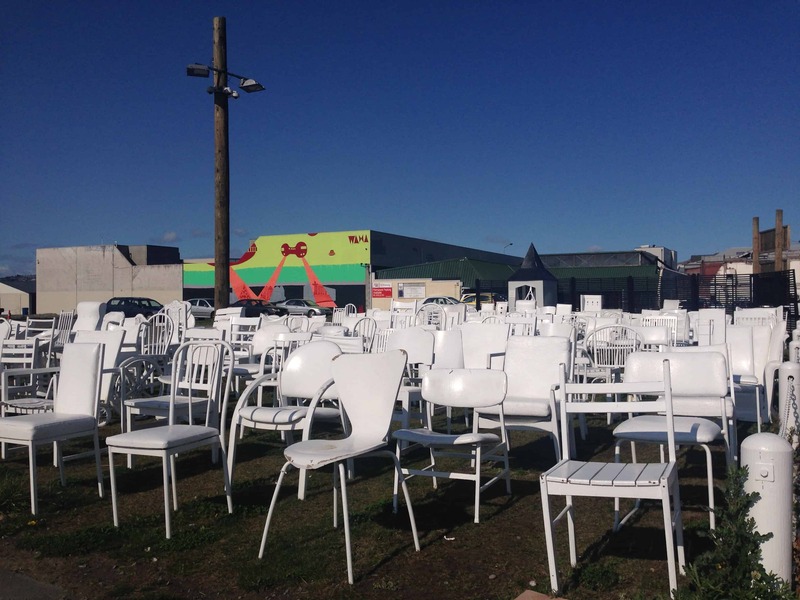 185 white chairs are set in place, each hand painted chair dedicated to a deceased victim of the earthquake. Including a baby capsule, a high chair, a wheel chair, several bar stools and a bean bag. In rows, as if watching a (horror) movie. I stood by this grouping of mis-matched chairs and wondered what kind of chair my family & friends might choose for me. What type of chair would I choose for my loved ones? 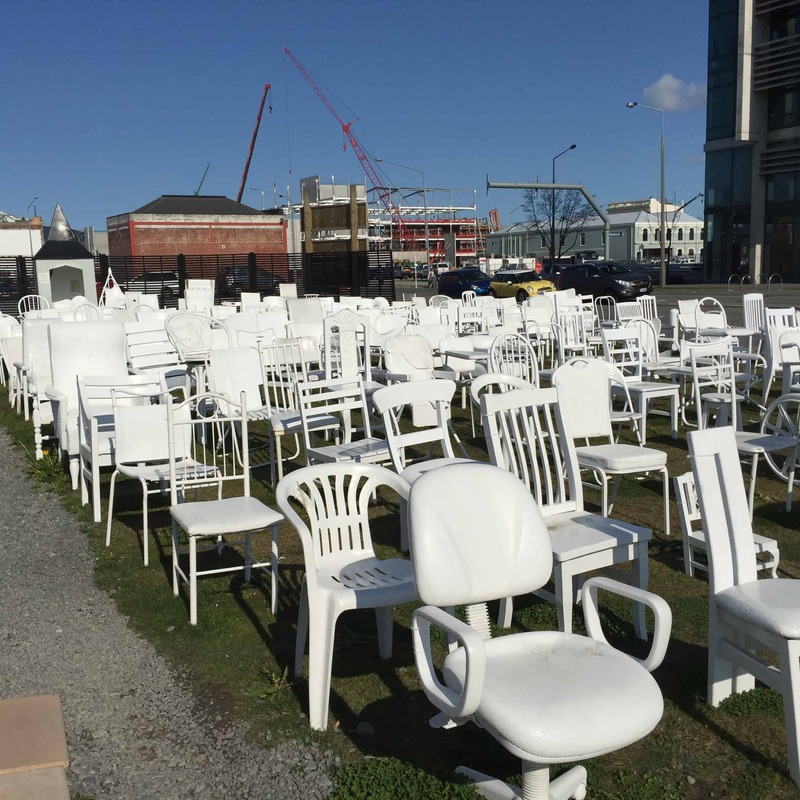 Looking at each of the chairs, I tried to gauge just a bit of what that chair may have represented for a person. 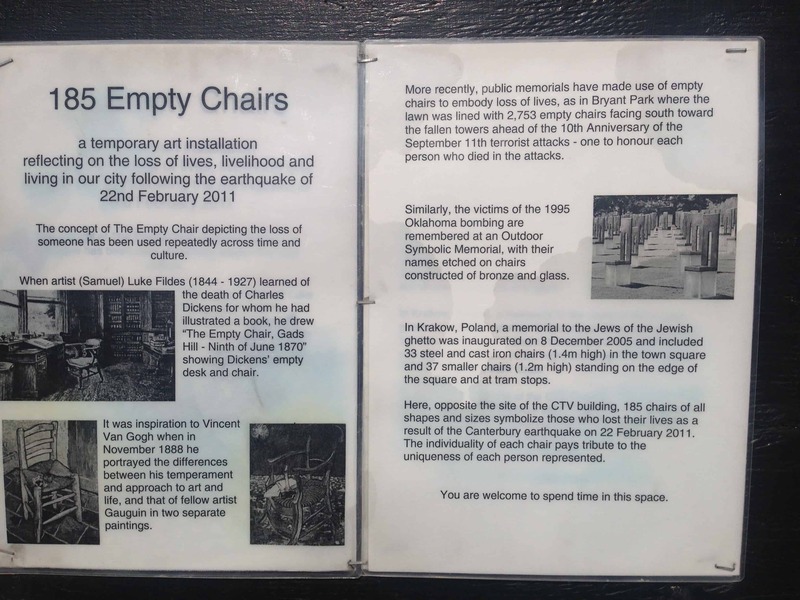 A tiny memorial hut is set up just beside the chair enclosure. Michael Leunig is a great poet and commenter on life. 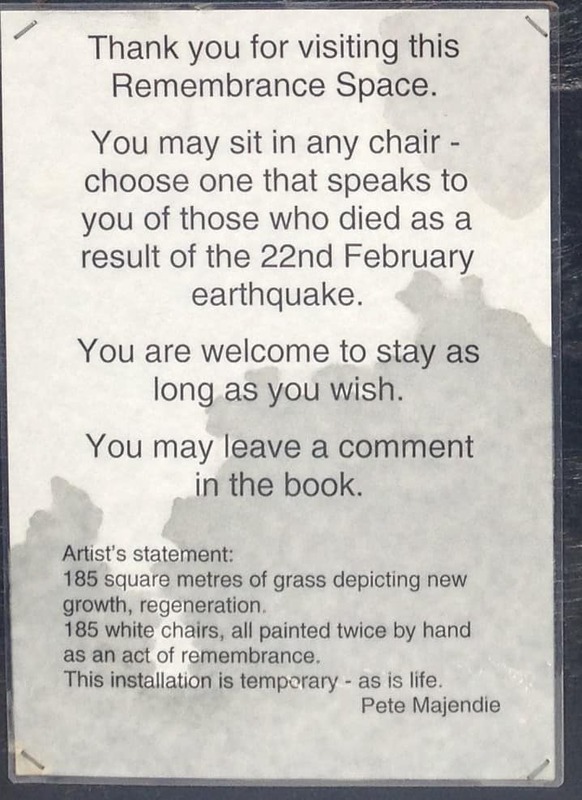 The photo in this poster was taken the day before the Feb 2011 earthquake. Years of restoration and cleaning had just been completed and was now open to the public. Fortunately the cathedral had no people in at the time of the quake. 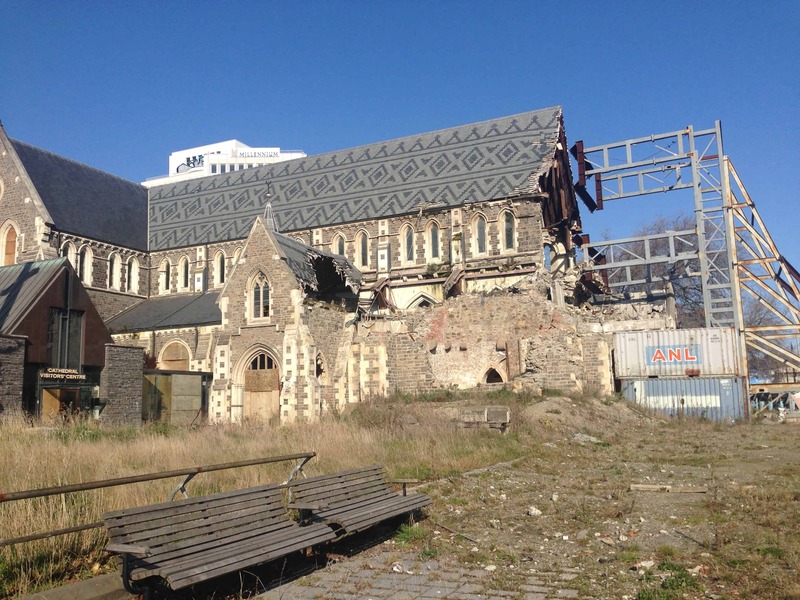 This is the once magnificent landmark of Christchurch. What to do? Some say rebuild and restore, others say demolish and rebuild, still others think it should stay as is (safely) as a reminder. 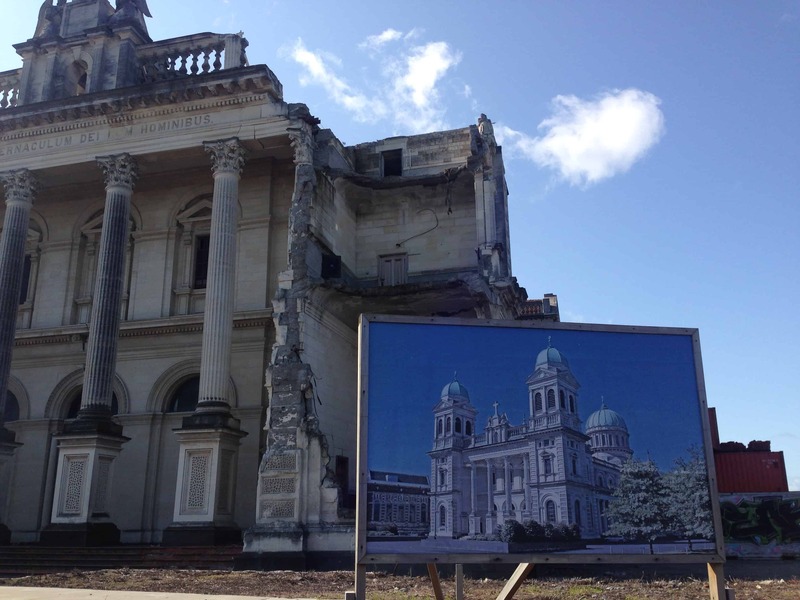 On the other hand, we witnessed such enthusiasm for Christchurch’s future. Its community that makes a city great, not buildings. The people we have met and spoken with have a fantastic outlook on the rebuilding of their home town. I’ll talk more about that in my next post.